When I am asked what I do for a job I often say I listen and talk, I have lots of conversations with lots of people. Yet so many times I find myself in situations where I hear managers say “oh they are talking too much”; “I don’t have time to go and talk to them, I will send an email”; “all they did at the meeting was talk”. So is talking too much a Myth? Is talking and conversations the same thing? I wonder if the reason why people don’t consider talking as work is that they are not able to define the distinctions between the various types of ‘talk’ or ‘conversations’ they have and the results they can produce. In today’s world, the most important work in the knowledge economy is our ability to have effective conversations. Nonetheless, I continue to be amazed at how many people don’t realise the importance and value that conversations have in the workplace. Organisational structures, systems, processes, hierarchy, technology, geographical distance are just a few of the barriers that can cause people to not have effective conversations with each other. However, as a leader, I argue your role is to create an environment where people see that the only way work gets done in an organisation is through conversations. All the barriers that are put up as reasons why people don’t talk to each other are can equally be enablers if you choose to observe them from a different perspective. My Dad used to play fourth division football (soccer) for Portsmouth, he was a goalie and whenever he sits and watches football his head is always boobing to keep the ball away from the goal net. In 2008 Dad and I were in England together and he took me to his old club and showed me around and then we drove to his ‘digs’ where he lived as a teenager. This is just one of many stories that my Dad has told me and every time someone mentions football, the World Cup or a goalie I am immediately transported to thinking about my Dad and his football stories. When we were growing up we always had a gathering for the ‘FA Cup’ the English Football Grand Final, there was always plates of food, cool drink and we could ‘stay up’ and watch the game. I love stories because they help us to connect and to reminisce when I listen to Dads stories I see him in a new light, he is able to transport me to when he was young and I see that twinkle in his eye as he recalls all the things he loves about the game of football. With the World Cup this year it gave me and Dad the opportunity to recall when we were at ‘his club’ in Portsmouth. 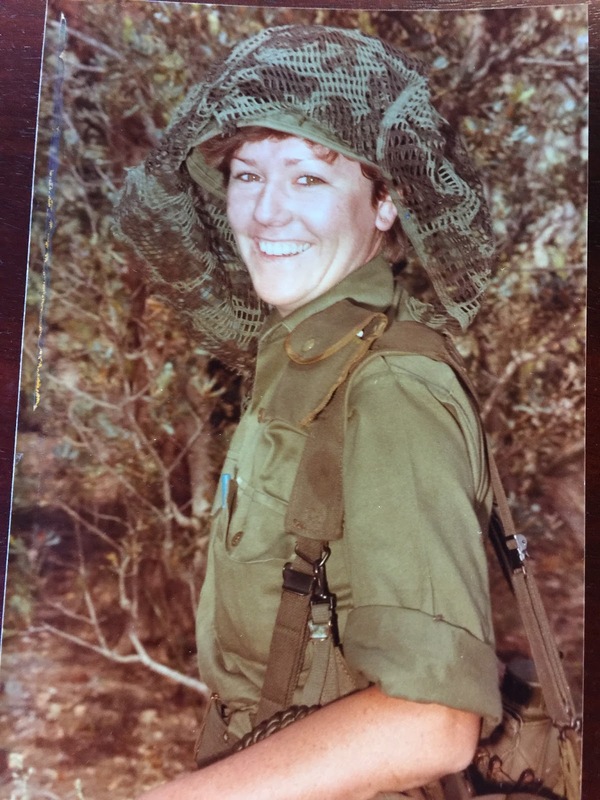 This story is part of my Dad’s legacy, it is part of who he is and what is important to him. Research into the benefits of storytelling for seniors demonstrates that there are a number of health benefits for people who both share and listen to stories. In one study, when the time was taken to listen to the valuable stories and life lessons of the older population, nurses developed a better understanding of their patients while their patients recall special memories and feel proud of their lives. The Life Review Group Program (LRGP) (Chiang et al., 2008), has been proven to increase self-esteem and life satisfaction among older adults. LRGP consists of discussions about different aspects of a person’s life, including memories from childhood and adolescence, the person’s family, job, friends, and greatest accomplishments, with a final discussion to summarize the life review. On the 10th November 2018, we are holding a Seniors Storytelling afternoon where we will support people to share and listen to stories. We are encouraging seniors to bring a family member or friend with them so together they can share stories. Co-founded by experienced Storytelling Consultants Lisa Evans and Nicky Howe, Third Act Storytelling offers facilitated storytelling session where seniors can listen and share stories. 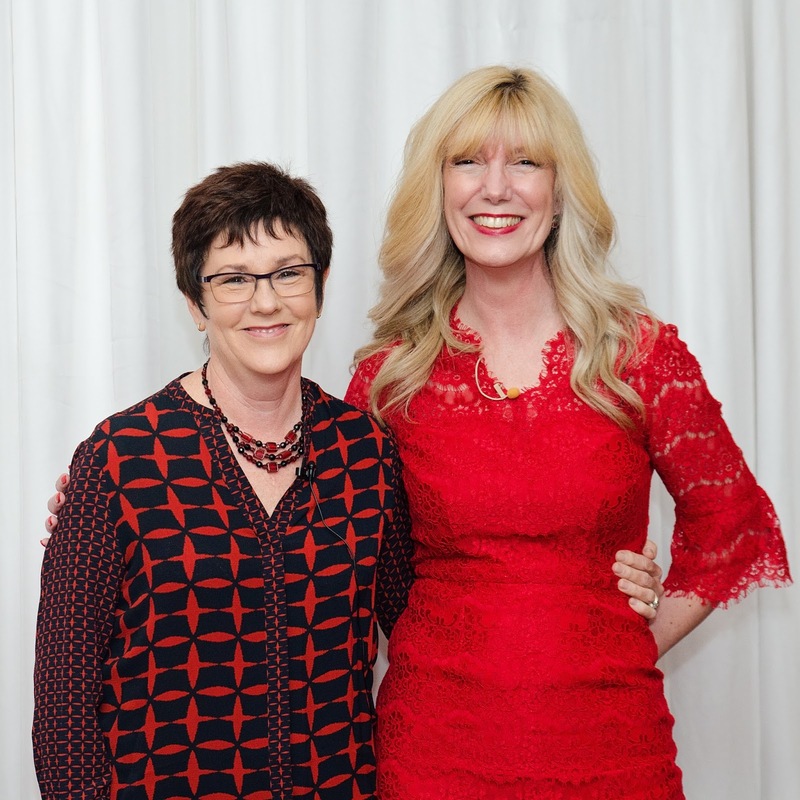 As professional facilitators, your storytellers Nicky and Lisa will provide a safe, supportive and fun session where you get to reminisce, share your wisdom and reflect on a life well lived. We are encouraging seniors to bring a family member or friend with them so together they can share stories. We will share a cuppa and some scones, cream, and jam… do you have a baking, eating or afternoon tea story? If you’re a leader or manager, on a daily basis you make important decisions that set the strategic direction and determine how your organisation will build your competitive advantage. You need to be able to thrive in a dynamic, changing global economy where you are a creator, contributor and solution provider. Therefore your skills, knowledge and experience are critical to your organisation’s success. Evidence suggests that many of the work/life problems faced by leaders are due to poor communication and poor relationships between people. In dealing with these problems is has been shown that leaders learn more effectively when they use their day-to-day work/life problems as the content of their learning. This book draws on these two key points and offers an approach that enables you to use your work/life problems to develop your capacity to create high-quality conversational skills and develop high-quality relationships. Both of which are central to being an effective leader. In this book I present two key levers that you can use to shift your thinking patterns in order to manage yourself and lead others. This book is for you if you are working in your own business, leading a company, or working in the public service or the not for profit sector. You may be a board member, a staff member, a volunteer or a contractor. You may be managing one person or 50. You may be the CEO, a member of the executive, a manager, a first time coordinator or a staff member. You may be managing volunteers or a call centre or you may be managing yourself. 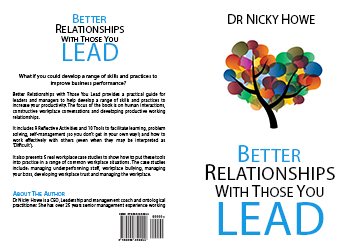 This book provides a practical guide for leaders and managers to help develop a range of skills and practices to improve business performance. The focus of the book is on human interactions, constructive workplace conversations and developing productive working relationships. It includes Nine Reflective Activities and Ten Tools to facilitate learning, problem-solving, self-management (so you don’t get in your own way!) and how to work effectively with others (even when they may be interpreted as ‘Difficult’). It also presents five real workplace case studies to show how to put these tools into practice in a range of common workplace situations. The case studies include: managing underperforming staff, workplace bullying, managing your boss, developing workplace trust and managing the workplace. Lisa Evan's book 'Speaking Savvy' is a terrific practical guide on how to develop your skills at writing and then telling a compelling story. It teaches you through a simple and clever approach, easy to follow, this book has a great foundational strategy, methods and processes to get you started and to help you improve your storytelling. But it is much more, what I really liked about the book was the series of short stories weaved in between all the practical, real-world advise. True to her word, Lisa Evans tells a good story, in fact so good she had me in tears and she made me laugh. I don’t want to be a spoiler but as Lisa says, every story has to have emotion and Lisa certainly touches your emotions. I found the various sections informative, practical and I loved all the useful props, visuals aids and checklists. Lisa makes some poignant notes about the use of power point and committing to the audience to provide value as opposed to hiding behind lecterns and tools. She makes you realise that you have to do the work and make the commitment if you want to be good at your craft. I loved the phrase ‘learning to play your human voice’. Like all good musicians, this means to practice and Lisa clearly practices what she is communicating. I think anyone who wants to improve their storytelling, be that writing, speaking or both this book is a must – readers will gain much from taking the time to both read and implement Lisa’s suggestions. 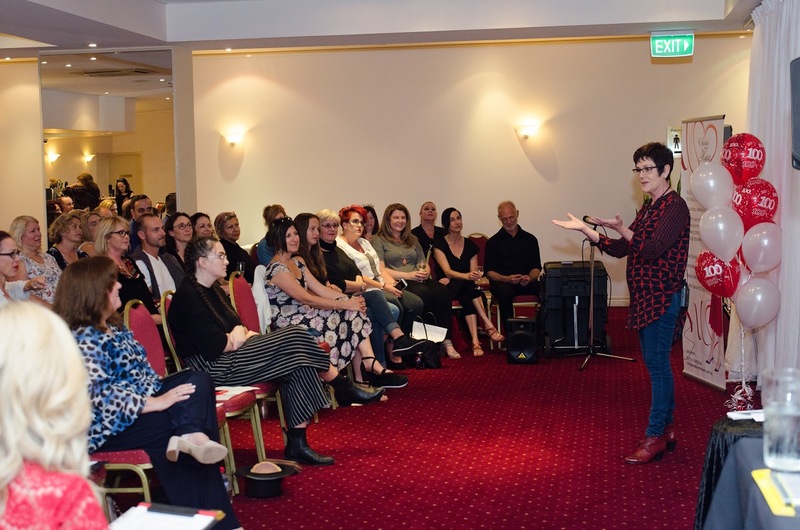 A few weeks ago I found myself in front of a packed room of people who had come to listen to people tell their story at ‘Stories from the Heart’, a live storytelling event, with all profits from ticket sales going to charity. The theme was ‘One Day Can Change Everything’. 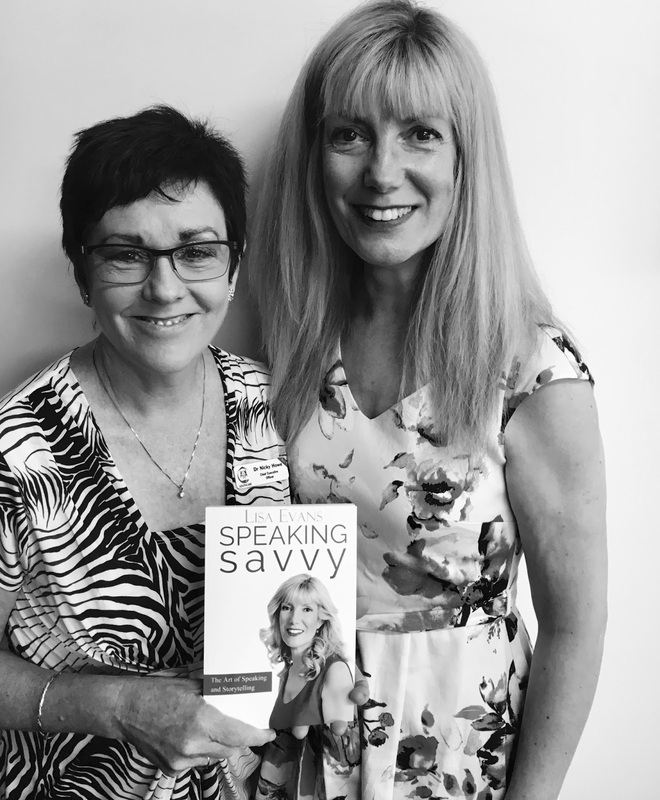 Over the last few months, I have been working with Lisa Evans from Speaking Savvy to develop my storytelling skills. I love telling stories and realised that a key way from me to leverage my messages as a CEO, coach and community leader was to get better at storytelling. I attended Lisa’s storytelling workshop and then engaged her as my speaker coach. I attended a full day workshop, coaching session, and zoom meetings. Before too long I found myself in front of a packed room of people who had come to listen to people tell their story at ‘Stories from the Heart’, a live storytelling event, with all profits from ticket sales going to charity. 1. Tell a true story. Nail the Story Plot. Choose a story that is real, you will have many stories for any number of situations you have found yourself in. Choose a story that people can relate to, understand and enjoy. 2. Take the time to prepare. Take the time to learn how to tell a story. Lisa gave me a great technique and I practiced and practiced and practiced. I recorded myself and listened to how it sounded and my dog Giles heard my many attempts. 4. Develop a way to remember the story. I used a visual map. Lisa has a number of great techniques to help with this. 5. Use a strong and confident voice. Even if you don’t feel it! As Amy Cuddy said ‘fake it till you make it’. Speak with clarity and confidence. Enunciate and project your voice towards the listeners. 6. Use good pacing. When I started practicing I rushed. I realised I needed to speak slowly enough so that the story is easily absorbed by the audience…but not so slowly that their minds check out. 7. Have a key message. Lisa showed me how to develop this and how to make it ‘sticky’. So what was my story? 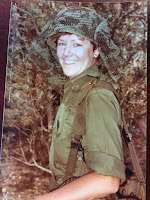 It was when I joined the army reserves and how I met Ms. Dee Termination. The video will be out in a few weeks so you can check it out, but I will leave you with a picture to set the scene.